These are some mistakes that I’ve seen in regards to long term survival bags. 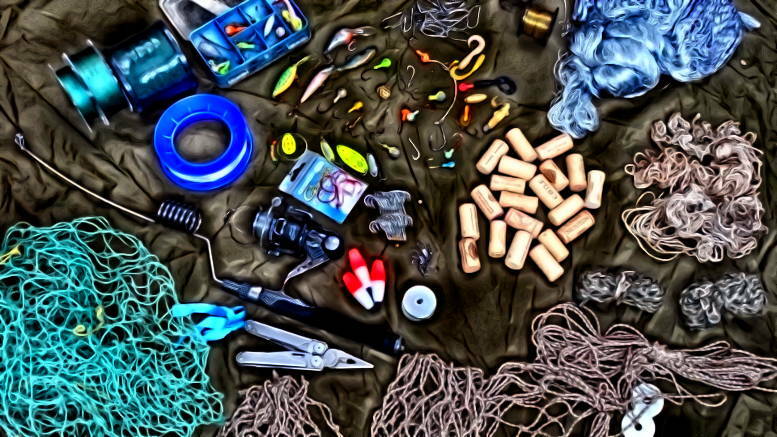 Often, crucial items are neglected in survival kits like fishing gear, clothing, and shelter. Other survival bags have too many knives and weapons. 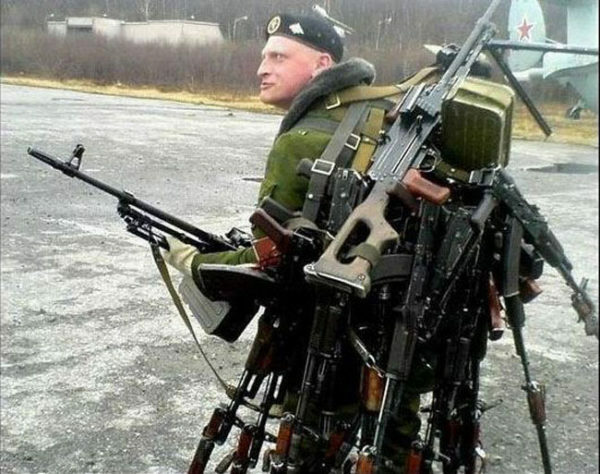 Many survival packs intended for long term use would be much better than having nothing, but there are a few things that would make them more effective. This post is not about 72 hrs Bug Out Bags. It’s for people with the last-resort, desperate idea, of living off the land for extended periods of time with just what they have in their packs. Many survival bags are heavily influenced by the military way of doing things; many people are used to doing things that way. But long term survival is different, there needs to be more emphasis on food procurement. 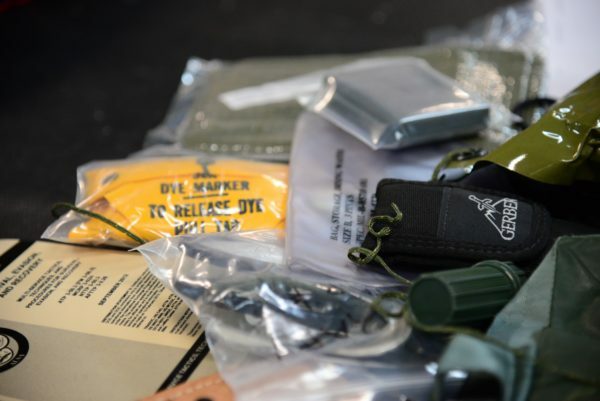 Things like fishing rods, nets and steel traps are missing in many military inspired survival bags, and I think that’s a mistake. The military relies heavily on motorized transport, and timely delivery of food; therefore their logistics are very different from a long term survival scenario. Of course we can learn a lot from military survival, but there are important differences. A long term survival bag should include multi-season shoes, layered, durable, outdoor clothes, rain gear, and winter clothes. Hands down, fishing is the most reliable way of getting a decent amount of food from the wild. Obviously, only in places where there are fish. What I fail to see in most bags is decent fishing kits. Many carry a few hooks and line, but they should carry much more than that. If fish really is the most reliable source of food, then you should carry a significant amount of fishing gear. This could mean having a gill net, trotline kits, fishing rod, and 100+ hooks. Fishing is important, just watch the show Alone; fish is their staple. Where I live bugs have to be taken seriously in the summer. Tents are a must. I see tons of people without tents in their survival bags, and it’s fine. As long as they live in the desert or another area without insane amounts of bugs. Having said that, I thru-hiked the PCT without a tent. I used a custom bug net to cover my face while sleeping, so that’s another option. The point is that bugs are no joke, and can drain away your energy, morale and sanity. Often survival bags don’t have a sleeping bag, or they have a wool blanket. Sleeping bags are an incredible survival aid; even most overnight, winter survival courses are done with a sleeping bag. Wool blankets are heavy and bulky, and not as warm as a bag. Sleeping bags nowadays are packable and lightweight, yet durable. They are an excellent way of keeping you warm at night and letting you rest. Also, you save precious calories by sleeping warm at night; in survival conditions the body lowers its metabolism, meaning you are more likely to suffer from the cold. Sleeping in a lean-to near a fire, often leaves people tired, with smoke inhalation, and cold. There’s a reason why every contestant on Alone has taken a high quality sleeping bag as part of their ten item gear list. Primitive traps made of natural materials might be effective in an ideal scenario, but they shouldn’t be your first option for trapping. Steel traps like conibears are reliable and reusable. Having a few 220s and 110s in your survival bag would be wise depending on the medium and small game in your area. Bow strings break, clothes rip, and most outdoor gear is not really meant for long-term, heavy-duty use. So carry spare gear for critical items, like bow strings, hooks, and arrows; and have a complete repair kit with fabric patches. Redundancy is important, but you don’t need more than 2 knives. Especially if you have other items that could replace a lost knife, like a multitool, medical scissors, hatchet, or machete. Also, you only need one axe/hatchet/machete per pack. Choose between one or the other, but not both. If you want redundancy then it’s better to complement your axe/hatchet/machete with a saw. 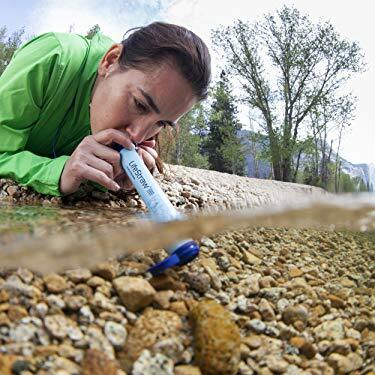 I see lifestraw filters in many survival bags, despite being almost useless (their design is impractical and that’s why you’ll never see an experienced outdoorsy person using them). The sawyer mini filter is way better. Another common mistake is flashlights. They only make sense in a self defence scenario; when you don’t want to be a beacon, and want the ability to turn on/off the light quickly. You can use a headlamp hands free, so ditch the flashlights already! When I see survival bags with inferior gear I can’t help but think that their owners haven’t really tested their gear, which is important if you want to be able to rely on it. I’ve broken a few plastic Nalgene bottles, and they break easily in winter (in freezing temperatures). Stainless steel bottles are more durable and can be used for boiling. For long term, multi-season use, steel bottles are your best bet. Hydration bladders are common among soldiers and athletes, but their valves can leak after prolonged use. They are also pretty useless in subfreezing temperatures, so that’s why I don’t bother with them. Try to really minimize the amount of consumables or disposables in your long term survival bag. A true “long term” bag has almost no toiletries. People have lived a long time without antibacterial soap, moisturizer, or toilet paper. Heck, I’ve lived a long time without those. Fossil-fuel stoves don’t belong in a survival bag. If you want a stove for stealth, then your best bet is an alcohol stove. They are light, compact, and their fuel is widely available. Disposable batteries are not realistic or practical in the long term. It’s better to have a solar panel capable of charging AA batteries. Either a compact battery charger or usb rechargeable batteries would be a good option. Trowel, Grappling hooks, and climbing ropes are some of the stuff I’ve seen in some bags. Trowels for pooping in the woods are easily replaced with a stick. And climbing ropes are more trouble than it’s worth (half-ropes would be a lighter option anyway). Paracord is a better general purpose rope. It’s good to be inspired by military survival, but some adjustments, and additions must be made for long term kits. Clothing, shelter and food procurement are components of survival bags that shouldn’t be neglected. 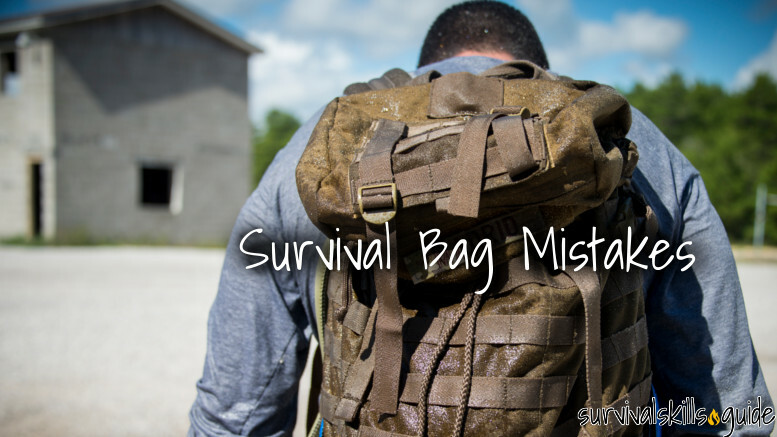 Be the first to comment on "Survival Bag: even experts make these mistakes"